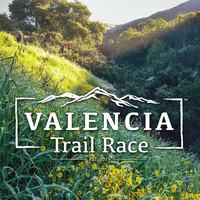 Run the 4th annual VALENCIA Trail Race, run the awesome trails and killer hills with breathtaking views of the Santa Clarita Valley in a 10K, Half Marathon, or 50K Ultra race on March 30th, 2019. For runners who love to run great trails and want to accomplish a good challenge. Prepare to take on the Awesome Trail Challenge in Valencia, California. Registration is now open with course distances for all types of runners to offer a variety of challenges. Experience course that takes you up challenging hills to the peaks and along the ridgelines with panoramic views, then into the canyons and valleys for a truly awesome trail challenge. Registration is available on VALENCIATrailRace.com or on the popular Active.com running network. This race sold out in 2018, be sure to register early to guarantee your spot at the start line in 2019.